instead of earing 15k india u can join this job for 80k. Dear friend please dont come to Kuwait Under any companies for nursing Job. Most of the companies are cheaters, they will offer many things and you are paying more than 5 lakhs for these jobs. You will not get anything as they offer. And pls dont share these type of job vacancies. If you got an opportunites under ministry or any other jobs, you can try Kuwait. If you have any doubts contact me by message. 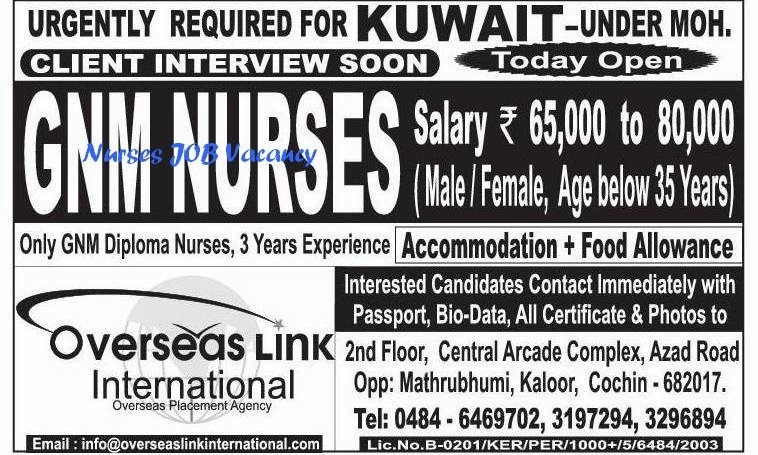 Dear friends, if any of your relatives, friends planning to come to kuwait for nursing job, pls inform them. if you got direct ministry no issues, other wise, you cannot escape, no rights on your job, you cannot take sick leaves, annual leaves, emergency leave. You will get fine, nobody will help you..Please dont come.. dont believe the compnies/ agencies offers..